Here are some tips on how to install a cupola and weathervane. If you’re not an experienced carpenter the angles you will need to deal with when installing a cupola can be confusing, to say the least. We will do our best to provide you with the knowledge you need to install a cupola on a pitched roof. The first step: a sturdy ladder to begin installing your cupola and weathervane. 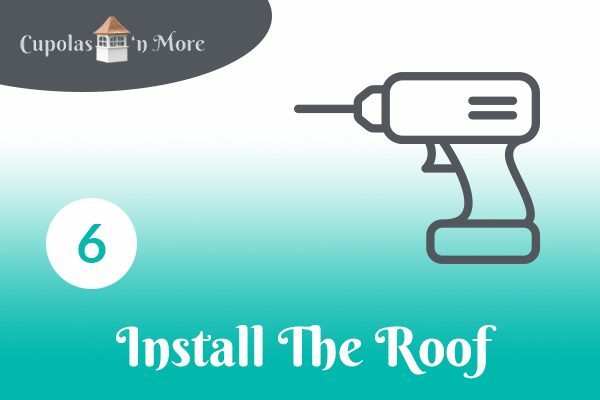 There’s a great video of how to install a cupola on a pitched roof. All you need are two boards and a screw. Form a pattern by marking the boards, then trace that pattern on the base of your cupola. Easy! Right? Get someone to help you install your cupola! 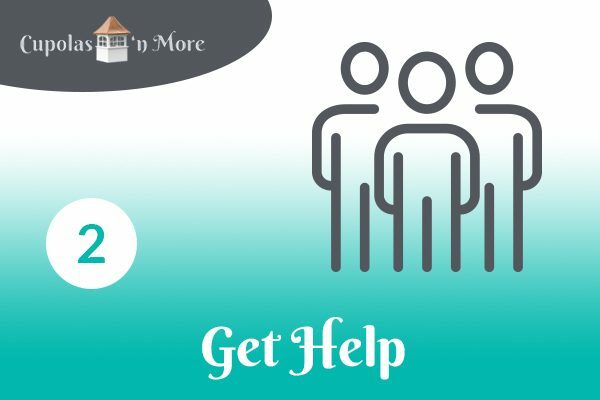 You may think it’s a one-person job, but you will discover a cupola is not only bigger than you may think; it’s also hard to keep your balance when walking on a pitched roof carrying your cupola. Don’t attempt it yourself! 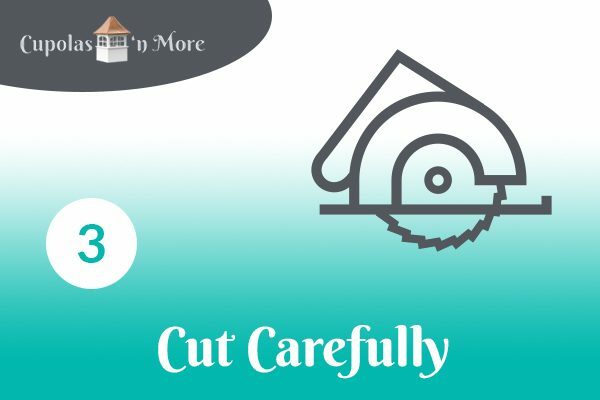 Familiarize yourself with the parts of your cupola before you install it on your pitched roof. There are three main sections; the base, the midsection, and the roof. As Dad used to say be careful you don’t cut twice and still be short! If you followed the video instructions you should have the correct angle of your pitched roof and the cut on your base should be perfect. With the help of your neighbor (or whoever your helper is) carefully take the base of your cupola up to the top of your roof. As instructed in the video, short 2×4’s can be screwed directly onto your pitched roof. The base can then be fastened to the 2×4’s. This is a simple step; most midsections have pre-drilled holes that are easily put in the proper place on the base and screwed fast. If your cupola does not have predrilled holes, it’s a good idea to predrill your own after carefully placing the midsection in the proper place. You’re well on your way to having your cupola installed on your pitched roof! Most cupola roofs come with mounting hardware to easily install a weathervane. If you intend to top off your cupola with a weathervane make sure it comes with weathervane mounting hardware. 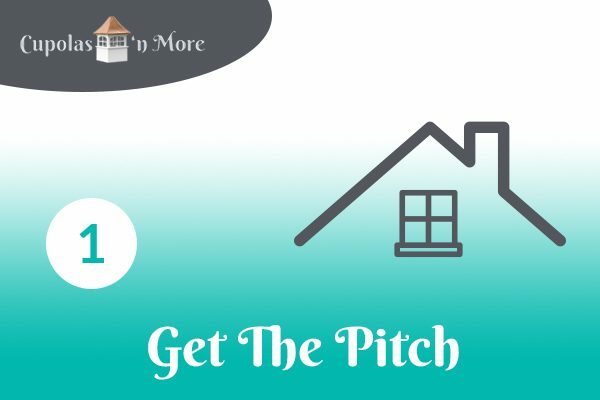 Installing a cupola and weathervane, especially on a pitched roof, is no easy task, but now you have the knowledge needed to tackle this task easily. 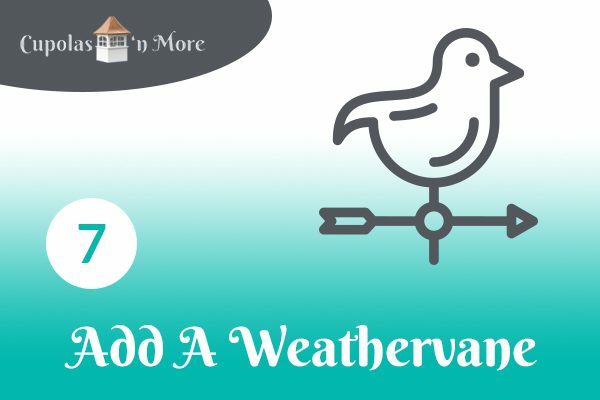 With these DIY tips in hand look at all we have to offer when it comes to cupolas and weathervanes. Check out our blog on How to Properly Size a Cupola, as well as How to Properly Size your Cupola. Have fun topping off your roof!